It a was rainy summer morning on Sunday, July 20th, 1969 at the Holloman Air Force Base outside of Alamogordo, New Mexico. Several families had gathered at the Base Chapel for the baptisms of their recently born children. One of those children was the first born grandchild (and my cousin) of my grandparents, James William Halvangis (1920-1973) and Claire Pawlowski Halvangis (1916-1980). Here is a photo of that morning. My grandmother is holding her granddaughter and my grandfather holding a candle. Natives of Detroit, my grandparents traveled to Alamogordo to join their daughter (my aunt and godmother) and uncle, who was stationed at the Air Force Base. My grandparents served as proxy godparents for those who were unable to make the trip from Detroit. The family and their Air Force neighbors gathered in the chapel for the christening ceremony presided over by Capt. Joseph A. LaPlante, presumably in the foreground of the photo above. Rev. LaPlante (far left in the photo below) performed Chaplain duties at Holloman for about another month before new Chaplains took over. After the ceremony, the family and guests made their way back to the second floor flat at 1404 Indiana Ave. in Alamogordo where my aunt, uncle, and their new daughter lived. They hosted a small party to celebrate the occasion. July 20th, as you likely know, was also the day of the historic Apollo 11 lunar landing. Here is the front page of the Alamogordo Daily News that my family likely read that morning while they sipped there coffee and ate their toast. There was good cheer and a festive mood as the family mingled at the party. They likely dined on crudités, sandwiches, and cake. 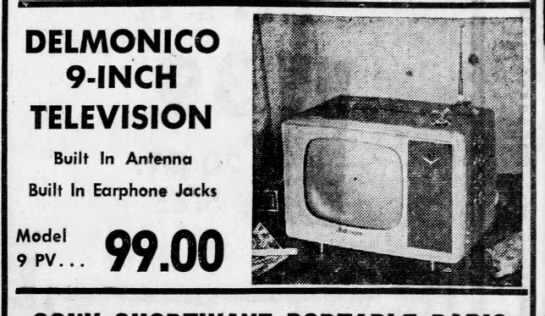 Punch in hand, the family gathered around their 9 inch black and white television set, perhaps like this Delmonico that you could buy for $99 in 1964. 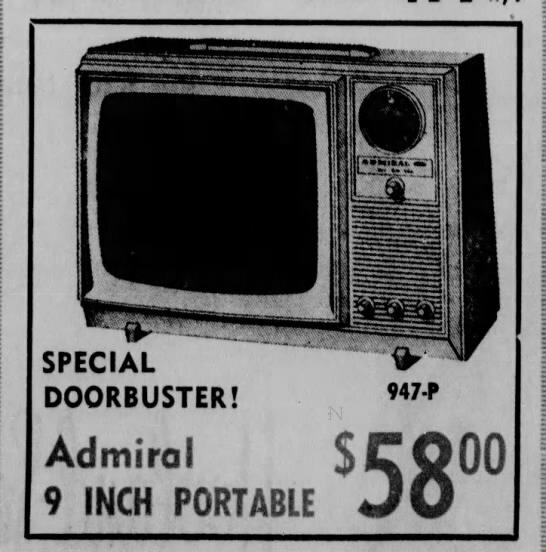 I imagine my infant cousin having fallen asleep in her mother’s arms as the family watched, breathless and amazed, at what was unfolding on that tiny screen. This is what they saw that afternoon. 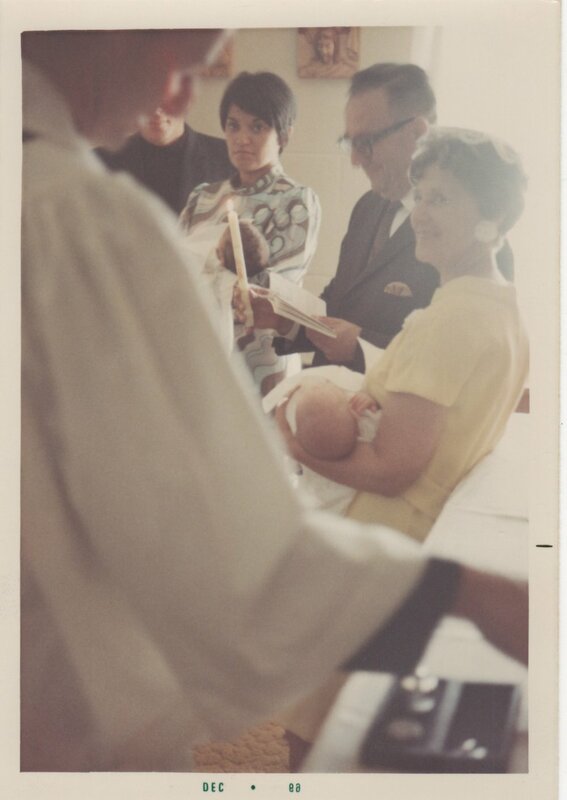 What are your favorite family baptismal stories? Where were you or your family when we landed on the moon? What do you think, feel, and wonder about as you read the details of this story? I would love to hear your thoughts! Please leave them below or send me a message. Thanks for taking a look. Letterman (1942) of the Saint Michael High School Basketball team in Flint, MI and my grandfather, Michael John Hanley Jr. (1924-2015). This is his story. How I decided to hire expert genealogy help to research my Greek roots: The story of my 2nd great uncle, Sophocles Tsardoulias (1895-1895).